Are short or long blog posts best? Good question. The online world changes constantly. More often than not, Google dictates those changes, including what it takes to get your site into the coveted #1 Search Engine Results Page (SERP) spot. What doesn’t change is the impact blog post length and publishing frequency have in achieving that distinction. When I started blogging, I was told my posts had to be 150 words long. A few years later, the number went up to 200 words per post. And a few years after that, the number rose to 300. As for publishing frequency, I’ve always agreed with one of my first blogging teachers: more is better. One blogger I know used to suggest publishing a minimum of three times per day, but the posts were short…very short. Some of this advice and the recommendations I’ve made in the past remain sound, but some also has changed…dramatically. 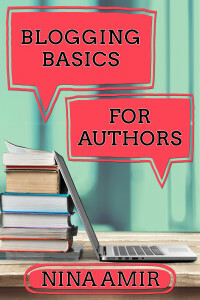 And when it comes to blogging a book, you, the author, will have to determine what works best for you and your audience as well as your traffic and SEO. Let’s review what’s working as far as post length and frequency now—July 2018. 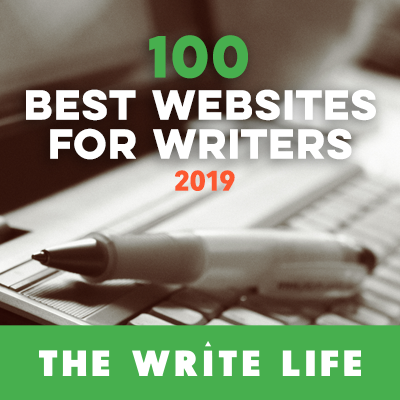 I’ve never found information that claims Google requires more than 300 words, and WordPress plugins like SEO by Yoast continue to call out posts less than 300 words. As time has gone on, though, Google has rewarded longer and more valuable posts. No longer do word count or keywords represent the only things feeding the Google algorithms. 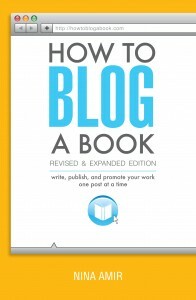 When blogging a book or writing a general post, determine length by the topic and requirements of the post. If you only need 500 words to answer one question for your readers in that article, that is the perfect length for your post. If you need 3,000 to accurately detail five steps in a process and the reasons why each step is essential, that is the correct length. That said, according to Snap Agency, longer—as long as it’s valuable—seems to be better for search engine optimization (SEO). How long? While posts of 2,000 words or more rank best, they also must provide enormous value. Just as it was never okay to stuff your posts with keywords—in fact, this could be enormously detrimental to your SERP ranking, it’s not okay to fill a post with empty words. Determine length by the topic and requirements of the post. Interestingly enough, you don’t have to write 3,000 words to get noticed in your subject area. You only need to exceed the average number of words written by the other bloggers in your market while addressing your readers’ concerns. Here’s a good rule of thumb: Write posts that are 500 words longer than the most relevant and least authoritative competitor in your niche who makes it to the first SERP given your keyword(s). Don’t forget to add as much value as possible. A study from Brian Dean shows longer posts do better because they are more detailed and provide more value. Getting a high SERP ranking is not just about word count. While posts of 2,000 words or more rank best, they also must provide enormous value. I’ve never suggested that those blogging books publish multiple times per day—nor have I have published multiple times per day on any of my sites. However, I have always recommended that if you are blogging a book or blogging for authority and visibility, you publish posts numerous times per week. 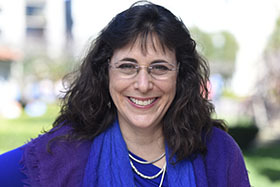 When I started Write Nonfiction NOW!, I published posts five days per week. On this site, I initially published posts there or four times per week. Frequent publishing helped my sites rise in the SERPs. Once I had traffic, I backed off, and my sites currently feature one new post per week. But I’m not blogging a book on any of the sites right now either. The trend is leaning toward publishing more often. Specifically, to gain traction on the Internet, bloggers are seeing results when they publish a minimum of once per day—sometimes more. To write a 2,000-word post several times per week takes time. According to Orbit Media’s 2016 report, it takes the average blogger nearly 10 hours to write a 3,000-word post. Depending upon how quickly you write, you might spend the better part of a day writing and preparing one post. Unless you have all day every day to do this, you’ll get frustrated by the fact that blogging is taking up all your time. Plus, you’ll blog your book too quickly. The point of this strategy always has been to write and publish short posts consistently and frequently. In this way, you build an audience for your book post by post, week by week, and month by month. But maybe the time has come to test longer posts that you publish more frequently. 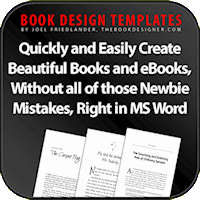 In other words, share 1,500 to 2,000 words of a chapter at a time and release them several times per week or day. After all, the experts say the most successful posts (when it comes to SEO) are 2,000 to 3,000 words long. 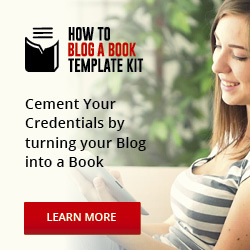 That means to successfully write and publish your book post by post, each segment needs to be at least that long. Experts also say the trend is to publish more often. You could test that as well. Try publishing short posts more often. Try publishing long posts more often. Or test out publishing longer posts on your regular publishing schedule. Then gauge your traffic and your SERP status. See if anything changes. Or don’t bother with any of this. The trend is leaning toward publishing more often. I’m a big advocate of doing what works for you so you don’t desert your blog. 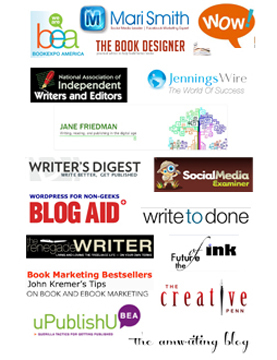 I want you to continue blogging long term and not only write, publish, and promote your book but also develop a sound platform for marketing your other books and even additional products and services. That won’t happen if you get so burned out that you quit. Also, if you publish 3,000-word-long posts, you’ll finish blogging your book in no time. After all, some of your chapters might only be 3,000 words long, and I still do not recommend publishing entire chapters. 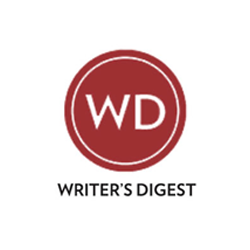 Blogging a book is not the same as serializing a book. Therefore, you need to break your chapters into shorter pieces—unless you find you’re getting no traction in the search engines. After all, you want visibility. You want your site to land in the #1 spot—or at least on the first page—in the SERPs. If you’re feeling a bit overwhelmed right now and are wondering how you will manage to write longer posts and publish them more frequently, here’s some good news: There are other ways to outrank your competition. Create a documented strategy. I’d equate this to a blog plan with the added element of a strategic plan for sharing your content on social media sites. Improve your blog by writing long-form content. Even if these are not your blogged-book posts, you can take a break from the story or manuscript content and write a longer piece. Potentially, you could do this once per week or twice per month and blog an entirely different book—maybe an ebook to help promote your first book once it’s published. Or elaborate on some issues that you won’t be writing about in depth in your book manuscript. Create longer content by combining old posts and including step-by-step instructions. This is a powerful way to produce long-form posts without writing totally from scratch. Patel is suggesting your repurpose content. However, be careful not to combine posts and end up with an entire chapter of your book, which you then publish. (That would be serialization.) Or you could create a list-post from previously published posts. Be sure to rewrite and revise so you don’t end up with duplicate content on your site. Use video. Video use continues to rise, and Patel says it’s proven to increase blog post engagement. 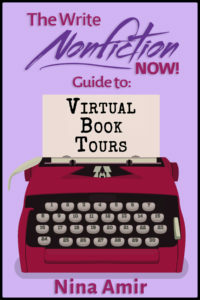 You can “interrupt” your blogged book with video posts. However, you will need to write a post that goes with the video or provide a transcript. Otherwise, Google has a hard time indexing that content and boosting your site for the appropriate keywords or subject matter. I’m sticking to my guns about publishing consistently and often—no matter the length of your posts. Why? Traffic Generation Cafe reports that when you’ve built your blog to 52 or more posts, your traffic will jump by 77 percent. The person who advised me to publish numerous times per day swore that when your site had a tally of 1,000 posts, traffic jumps even more dramatically. As for me, I’m sticking to my once-per-week publishing schedule. 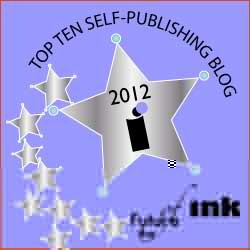 On several of my sites, like this one, I have guest bloggers who will continue writing around 750 words. But when I write a post, I’ll be thinking “longer.” I may not always get much past 1,000 words, which I can do in an hour, but I will be striving for posts closer to 2,000 words—unless I can’t provide value in the process. As we say in the publishing world, the book dictates the length. The same is true of a blog post, especially one that constitutes part of a blogged book. I’m curious, though. Do you prefer to read long posts or short posts? And do you like your favorite bloggers to publish posts more than once per week? Please, tell me in a comment below. I’d really like to know.